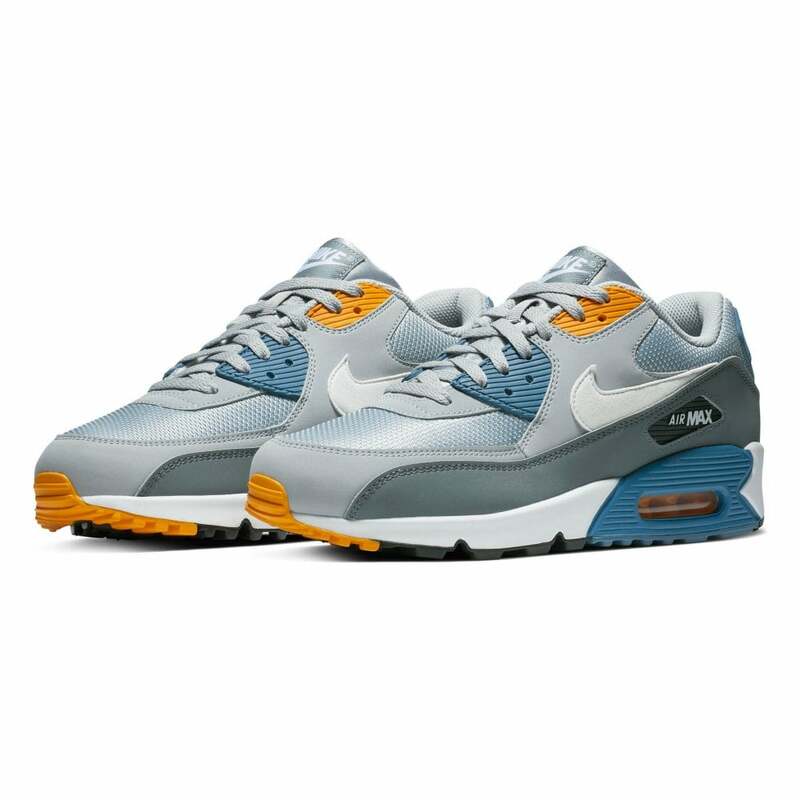 These lace-up Nike Air Max 90 Essential Trainers have a coated leather & synthetic upper and are grey wolf in colour, with indigo storm blue and yellow detail. They have a padded textile lining and a double row of eyelets. Nike branding appears at the side, tongue & heel. The sole has built-in Air Max technology with visible shock absorbers as well as a deep rubber tread for excellent grip.